Yes that’s right, Bass[sic] is now on twitter! Follow us for hot-off-the-press updates about all of our parties, plus exclusive free music, DJ sets and loads more! We’ll also regale you with the occasional story about our adventures in clubland, but fear not, we promise not to bore you with dull updates about our morning bowel movements and so on! 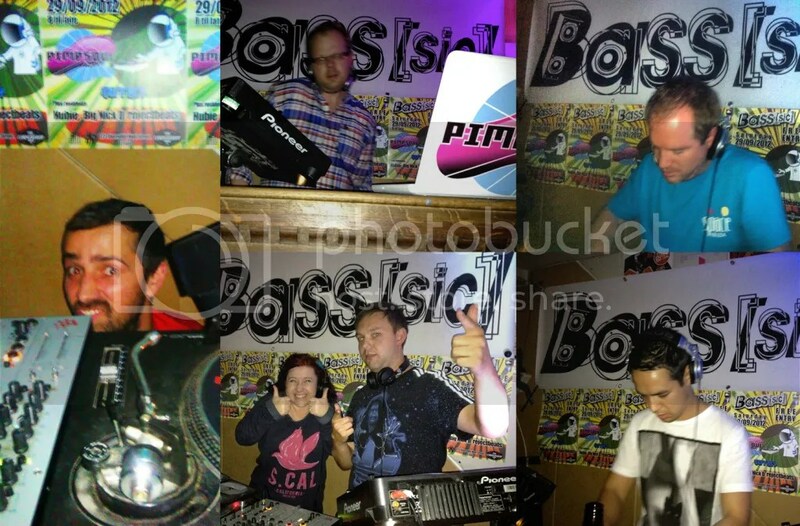 At long last our Gallery page has been updated with comprehensive photo albums of all our parties thus far! Sorry for the delay, but we’re sure you’ll agree it was worth the wait. And you can rest assured that we will be keeping our photo albums updated after each party, so make sure you have a browse and see if you can spot yourself amongst the lovely ravers! Check out the Gallery page! First of all we’d like to say a massive thank you to everyone who came down to The Cornershop for Bass[sic] last Saturday. It was great to see all of you and we hope you had a great time. 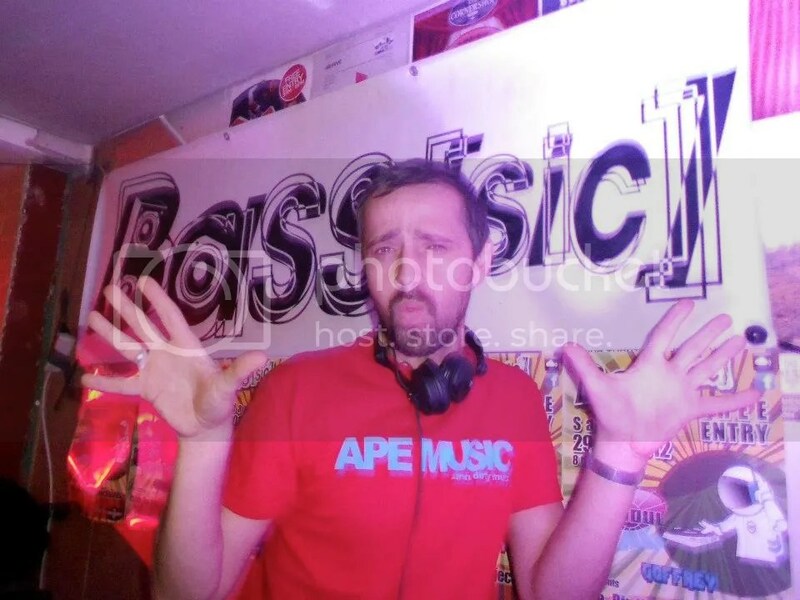 We’d also like to say a belated big ups to our guest DJs Pimpsoul and Goffrey who, despite a few minor technical problems, managed to bang out excellent sets and kept everyone dancing ’til kick out time. Speaking of kick out time… please accept our sincerest apologies for the early closing time on Saturday. Unfortunately, the venue had some unexpected licencing issues that weekend and as a result we had to close earlier than usual. We realise that there were a number of people queuing outside who were unable to get into, or re-enter, the venue too. Once again that was down to the unexpected temporary licencing issues and we apologise for this. 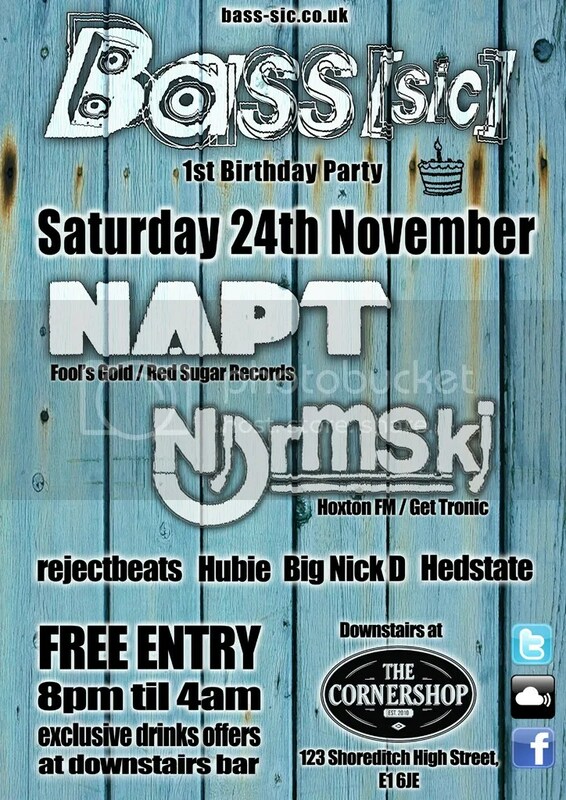 Anyway, we have been reassured that everything will be back to normal for the next party, on 24th November. Mark it in your diary now because it’s our 1st birthday party and it’s going to be even bigger and better than ever! Full details will be announced soon, so watch this space!